Eliminator of Indian Premier League (IPL) 2017 will be played between defending Champions Sunrisers Hyderabad (SRH) and Kolkata Knight Riders (KKR) on 17th May at M. Chinnaswamy Stadium, Bangalore. Wicket is expected to be two faced and difficult to bat on. Rain is expected during the game. While if it rains and match cannot be played and also super over cannot be organised than Sunrisers Hyderabad will move forward to play Qualifier 2. Four matches played at 8 pm this season at Chinnaswamy, team batting first had won three times that open the chances of captain winning toss to select batting first. Winner of Eliminator will play the Qualifier 2 against the Mumbai Indians on 19th May at M. Chinnaswamy Stadium Bangalore; Mumbai Indians had lost to Rising Pune Supergiant in Qualifier 1. Sunrisers Hyderabad had finished third on the points table with 17 points in 14 matches played. Out of eight wins Sunrisers had won six of them at their home in Hyderabad so it will be a challenge for them to win at M. Chinnaswamy (SRH had won IPL final at M. Chinnaswamy Stadium). 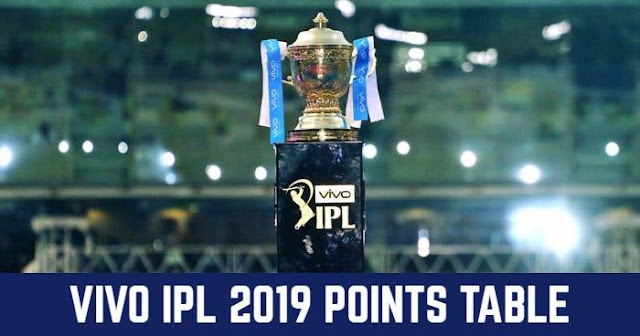 Last year also Sunrisers Hyderabad and Kolkata Knight Riders had finished at third and fourth place respectively in the points table. 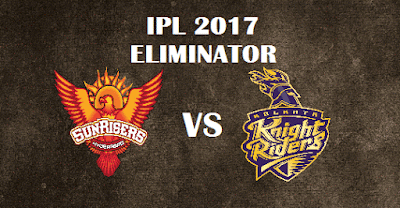 And they also played Eliminator last year where Sunrisers Hyderabad defeated Kolkata Knight Riders by 22 Runs had moved on to win the title. Kolkata had started the 10th season of IPL strongly and were looking to finish the table in top two but at the end of the league stage, KKR lost four of last five matches and slipped down to fourth place. Sunrisers have won last match and is most probably to continue with the same playing XI. There is less chance of Yuvraj to be in playing XI due to finger injury. Kolkata Knight Riders have to find the combination as they lost last few matches. Nathan Coulter-Nile can make in Playing XI. When it comes to head to head between SRH and KKR; KKR had 7 wins and SRH had 4 wins in total 11 matches played. They had met twice in IPL 2017 and both are even on one win each. In last encounter Sunrisers Hyderabad had defeated Kolkata Knight Riders by 48 runs.